Villa del Balbianello is located on a wooded promontory, offering an enchanted view of Lake Como. This elegant, romantic 18th century mansion and its magnificent garden have hosted writers, scholars and travelers, including Count Guido Monzino, the last owner of the Villa. Perched on the edge of the wooded peninsula of Lavedo jutting out over the Lake Como, the Villa offers a wide panorama, which makes it one of the most spectacular estates in the area. People from all of the world come to visit the villa or to organize a wedding with a breathtaking views of Como lake. Villa Balbianello is one of the most popular places for those getting married in Italy. The construction of the building was commissioned by Cardinal Durini, a scholar and patron of the arts, who, at the end of the 18th century, saw this peaceful corner as the ideal venue for exclusive literary retreats. 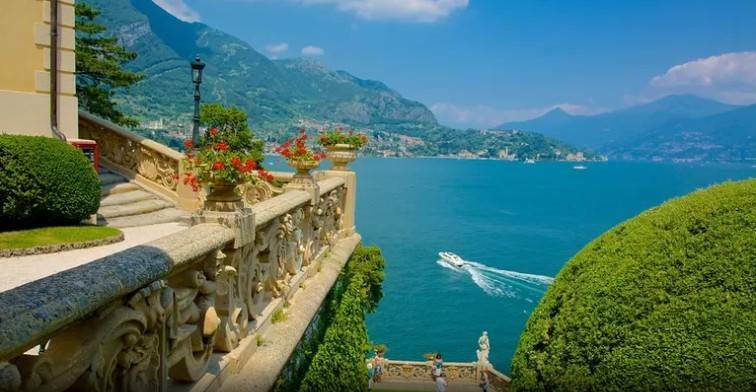 The beauties of Villa del Balbianello, which is also accessible by water, led many Hollywood directors to pick it as the filming location for several movie series, such as Star Wars and 007.
https://www.lux-event.it/wp-content/uploads/2019/03/VILLA-BALBIANELLO-LAGO-DI-COMO.jpg 392 756 Lux Event /wp-content/uploads/2019/02/luxevent-events-weddings.png Lux Event2019-03-29 00:18:202019-03-29 08:50:21Dream Wedding on Como Lake. Villa Balbianello.